Angela Hartley is a gender specialist with experience in project management, public health program design, research methods, and program evaluation. Currently, she is the Senior Program Manager for the Global Center for Gender Equality at Stanford University. Angela holds a Master of Public Administration in Economic and Political Development from Columbia University, with a specialization in Gender and Public Policy. Her experience includes working with the Asia Pacific Coalition on Male Sexual Health (APCOM) in Thailand to advance a regional strategy to increase access to HIV testing and treatment for transgender communities, supporting Orbis International to complete an evaluation of school-based programs to reduce refractive error in children across India, and analyzing gender data for development programs with Ipsos Public Affairs. Prior to this work, Angela worked on malaria elimination policy and strategy initiatives with PATH, working primarily in Ethiopia, Kenya, El Salvador, and Guatemala. She also has worked as a Refugee Resettlement Case Manager in the U.S., and conducted research on linkages between education and women’s empowerment with the Fulbright program in Argentina. Christina Gordon is a Program Associate for the Women’s Learning Partnership, where she manages the organization’s reporting and evaluation efforts. Christina previously worked as a Gender Equality Fellow at Save the Children US, where she supported the development and implementation of the organization’s Gender Equality Strategy. She also previously managed education abroad programs in the Middle East and North Africa, specializing in intercultural learning, cross-cultural communication, and issues of identity, diversity and harassment. She has experience researching the gendered effects of education policy in Jordan and Morocco and teaching English as a second language as a Fulbright English Teaching Assistant in Amman, Jordan. Christina holds a master’s degree in international affairs with a concentration in global gender policy from George Washington University and a bachelor’s degree in political science and modern languages from Kenyon College. Karine Lepillez is a Gender and Social Equity Consultant, working with organizations to improve their capacity for inclusive social change. She works alongside clients such as Save the Children, Catholic Relief Services, and World Learning to design programs that address gender inequities in health, nutrition, agriculture, education, livelihoods, and climate change, as well as issues of gender-based violence (GBV) such as child marriage, adolescent pregnancy, and intimate partner violence. Karine was recently USAID’s Gender Advisor in Pakistan, where she provided guidance to the U.S. Mission on the integration of gender equality and GBV prevention and response across its programming. Previous to this, Karine led a portfolio of economic advocacy programs with Vital Voices Global Partnership, providing capacity building support to women’s business organisations in Kenya, Nigeria, South Africa, and Uganda. 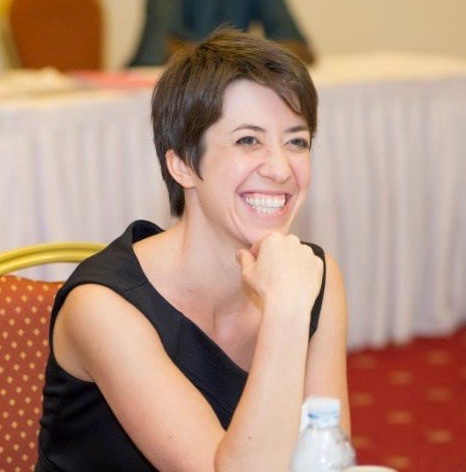 Karine has managed multi-million dollar development programs in microfinance, trade, SME development, and capacity building in Africa and the Middle East with the International Executive Service Corps. She also worked with the U.S. Institute of Peace and the Independent Diplomat on programs providing practical assistance and advice in diplomatic strategy and technique to the governments of Somaliland, South Sudan, and the Saharawi Arab Democratic Republic. Karine began her career as a Research Analyst with Compassion International, a child advocacy organization. She holds a B.A. in International Affairs from the George Washington University and an M.A. in International Human Rights from the University of Denver. Karissa is founder of Post Ref Racism, an anti-racism organisation that campaigns to reduce hate crime and xenophobia in the UK. Before starting Post Ref Racism, Karissa lived and worked in Bolivia where she focused on LGBT rights and human trafficking. Karissa is currently studying a Masters in Public Administration at Columbia University in New York, and holds a bachelors degree in Natural Sciences from Cambridge University, UK. Karissa grew up in Wales and plans to return to the UK to work for the local government in London after finishing her masters. Kenneth Nimley is a doctoral student in the College of Computing and Informatics at Drexel University, who works on increasing community collaboration around education and empowering underrepresented youth. His research focuses on promoting diversity and inclusion in education through technological innovation, combining computer science, information science, user experience design and psychology. Mr. Nimley received his BS in Computer Science from Rhode Island College and his MS in Computer Science from Boston University. He also served as a founding administrator of a K-12 charter school in Providence, RI for 15 years. His experiences on the front lines of addressing the needs of underserved youth inspired his doctoral work. Kristy Kelly is a sociologist specializing in gender and development, policy and politics, transnational feminisms, gender mainstreaming, and social change in Southeast Asia. She is currently assistant clinical professor of global and international education at Drexel University and Associate Research Scholar at the Weatherhead East Asian Institute at Columbia University. Dr. Kelly teaches courses on gender mainstreaming, education diplomacy, gender and development in Southeast Asia and qualitative research methods. She has published on gender and education leadership, gender mainstreaming policy, gender and corruption, and post-socialist transition in Vietnam. She also consults and advises on gender and development issues for multilateral and humanitarian aid organizations such as UNESCO, The Asia Foundation, and Transparency International in Asia and Africa. Dr. Kelly serves as an Expert Advisor on Gender Mainstreaming to the United Nations, and is a Fulbright Core Specialist on Gender Equality. She received her BA from Pennsylvania State University, and MA and PhD from the University of Wisconsin – Madison. From 2014-2017, Lauren served as the Program Manager for a $1.3 million Minerva Research Award sponsored by the Department of Defense. As the principal of her own consulting firm, Lauren’s research interests focus on women, terrorism, and countering violent extremism. Currently living in Washington, D.C., she liaises with several academic institutions, government agencies, and non-profit organizations on issues related to the United States National Action Plan on Women, Peace and UNSCR 1325, and she frequently consults on data gaps in women and gender. Lauren received her Master’s degree in International Affairs from Texas A&M University in 2013 and a Bachelor’s degree in International Affairs and Criminal Justice from the University of Georgia in 2010. Leah currently works in Kampala, Uganda with Raising Voices, a non-profit working toward the prevention of violence against women and children. She works to influence policy and programming to adopt feminist-informed principles. Previously, she worked as a Social Behavior Change Communication Officer for the Ministry of Health through Global Health Corps, focusing on how individuals can adopt and sustain healthy knowledge, attitudes and practices, particularly in the areas of reproductive health and gender-based violence. She received her Masters of Public Administration in Gender and Human Rights Policy from Columbia University’s School of International and Public Affairs (SIPA), and her Bachelors in Psychology from the University of Michigan in Ann Arbor. She has worked internationally and nationally organizations such as Save the Children, UNFPA, the International Center for Research on Women, Covenant House International, and PAI. She is passionate about feminism, education, and sexual and reproductive health and rights, as well as a proud alumna of AmeriCorps. You can usually find her arguing, reading or showing everyone pictures of her cat, Zelda. Nicole Figot has worked in public policy and social development nationally and internationally, in organizations including Fundación IDEA, The Hunger Project, and UNDP. She has a Master's in Public Administration from Columbia University focused on gender policy and a Bachelor in International Relations from Universidad Iberoamericana. She has created strategies and implemented workshops for organizations looking to promote diversity and inclusion in the workplace. She’s currently in her native Mexico City creating content and coordinating special projects for Dalia Empower, a new leadership and empowerment center.